Today is the big day all fans look forward to each year. 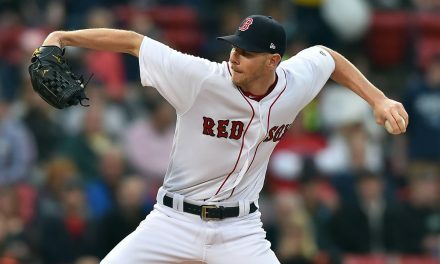 The true beginning of Spring; Red Sox Opening Day. 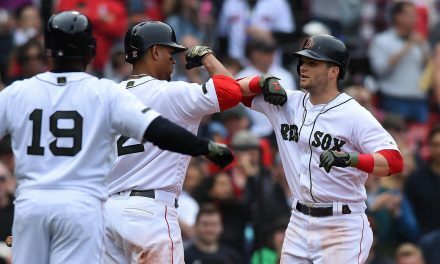 The Sox will meet the Seattle Mariners and remain on the road until the much anticipated Home Opener at Fenway on April 9 for our World Champions. 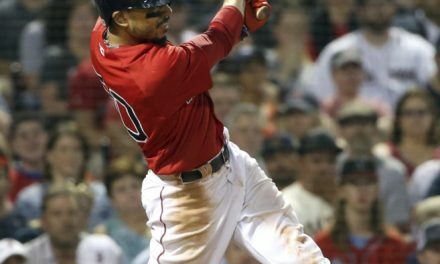 Here is a feel good story from Spring Training heading in to this season about 2018 World Series MVP, Steve Pearce. My brother-in-law, Paul, and my nephew, Matt, have made going to Spring Training an annual tradition over the past few years. Matt is 10 years old and, like most lucky kids in Boston these days, a borderline insane sports fan. Matt does not miss a pitch, basket, goal or touchdown; ever. What makes Matt unique and especially awesome is he is bound to a wheelchair. See, Matt holds the diagnosis of Spinal Muscular Atrophy (SMA). Matt has not let this interfere with his maniacal love of sports and enjoys it all from his powered wheelchair he can maneuver like a NASCAR Driver (I think he actually may like NASCAR, now that I think about it?). 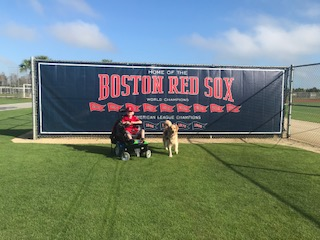 On this beautiful Florida morning, Paul, Matt and his faithful service dog, Gunner, headed to Jet Blue Park to catch some February pre-season ball. 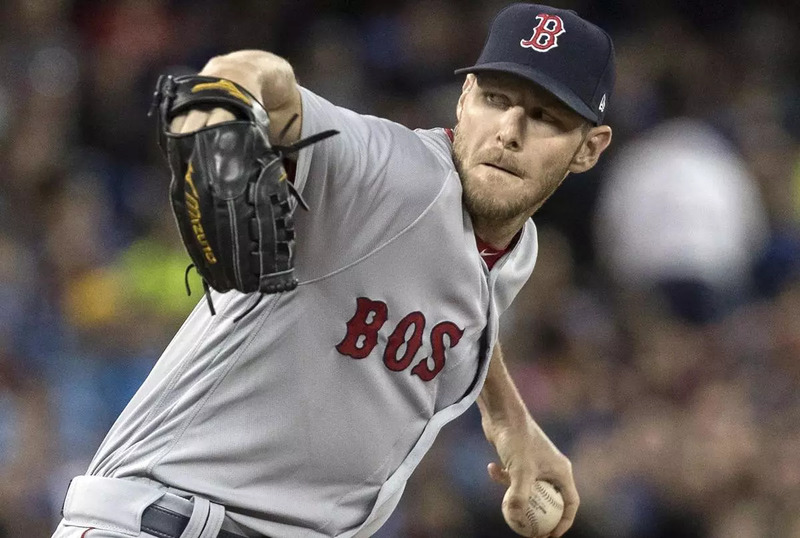 “Had it all ended right there – it is a “feel good” story to share and reminisce about for years; add it to the pile of our amazing Red Sox moments. The following morning before the Twins game Matt says: “Dad – do you have the glove did you bring the glove”.. as we left the hotel and climbed into the rental van. 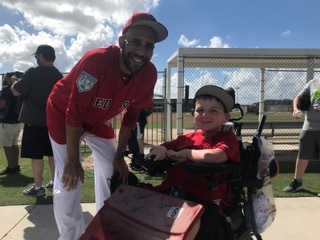 “We need to try and get Steve to autograph it… today.” Of course, we had the glove I exclaimed; tucked away in our backpack as we headed over to Fenway South at 9:00AM- Day 5- of our Annual Spring Training Boys Trip. 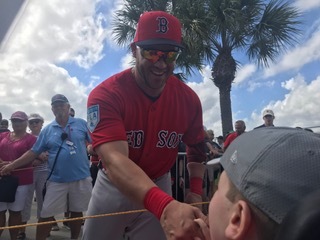 As we met Alex Cora and David Price, we noticed Steve Pearce running the bases and pausing to sign autographs for the tour that was on the field by the backstop. 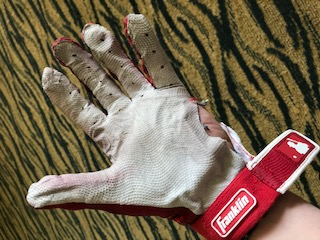 Low and behold- there was a wedding ring- it was lodged inside the glove– it took some maneuvering – but we found the ring and gave it back to Steve. Steve invited us onto the field- signed the glove – and took the ring back – with gratitude. Matt says: “I was thrilled and excited to meet the MVP – but wished it was a World Series ring that was in the Glove – not a wedding ring. We all proceeded to move on with our day- as if nothing happened…No press, no pictures, no fanfare, just the way we like it. 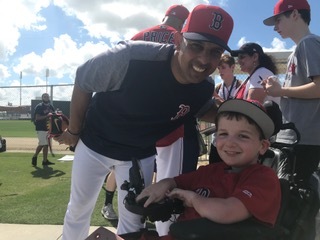 Wanted to share our gratitude once again with the entire BoSox organization for another impossible / unbelievable Spring Training experience. (is it still called that? :)) but also some great humans leading us in to the 2019 campaign. Thanks Steve…you already made Matt’s season. P.S. 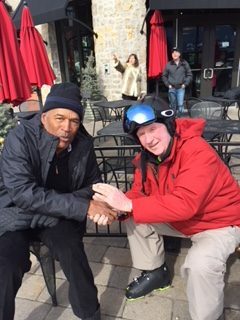 Same day in Vail, Colorado, my Dad (one on the right) was hanging with his new BFF, OJ Simpson. That story is for another time. NextAre Boston Bruins serious Stanley Cup contenders?